It was a simple – but revolutionary – first. L.A. Macklanburg, frustrated with the dust and dirt blowing in under his door, created the first form of weatherstripping-inspiring not only a solution, but a business. It was symbolic of the smart, refreshingly uncomplicated thinking that continues to define M-D Building Products today: quality that never wavers and innovation that never stands still. A family-owned business with more than 90% of our products manufactured in North America, we stand apart in our ability to maintain higher standards of quality control, respond faster to changing market conditions and meet customer demand with greater speed and efficiency. Consumers and industry professionals throughout the world trust our products and services – positioning us as the leaders in the weatherstripping, floor and tile trims, perforated aluminum sheets, digital levels, and caulking categories. Additionally, thousands of manufacturers rely on our custom aluminum and vinyl extrusion businesses to build the quality components upon which they can confidently put their name. Honesty doesn’t need a policy. We do the right thing when nobody's looking. Tomorrow's success is created by the steps we take today. Every day, we are accountable to each other and our customers. We listen with intent, communicate with clarity and speak up for what's right. We serve to promote one another, create opportunities and provide customer delight. Headquartered in Oklahoma City, OK since our 1920’s-era beginnings, our company personifies the values of “America’s Heartland”; its hardworking, friendly spirit permeating throughout the walls of every building. 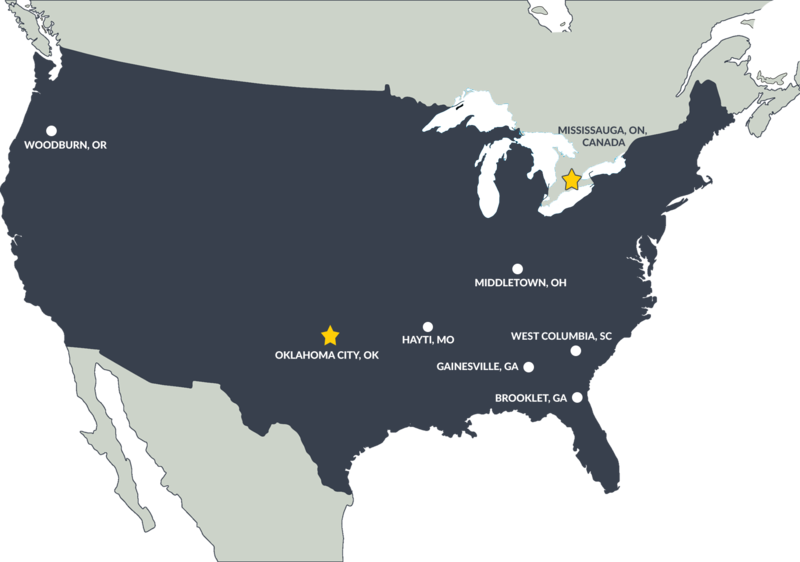 We are well positioned to effectively support the diverse needs of our customers through any of our eight North American facilities. As we approach the dawn of a century in business, our company stands firmly on a history of growth and solidity that guides our strong vision for the future. By the close of 2018, we will expand our size through investment in both people and facilities throughout North America, furthering our commitment to keep job opportunities strong and push forward new standards of innovation. Likewise, we will continue – as our founders did before us – to expand our hearts and minds to new possibilities. Because we believe the greatest promise we can make to ourselves and to our customers is to think boldly, act humbly, and embrace every opportunity confidently.